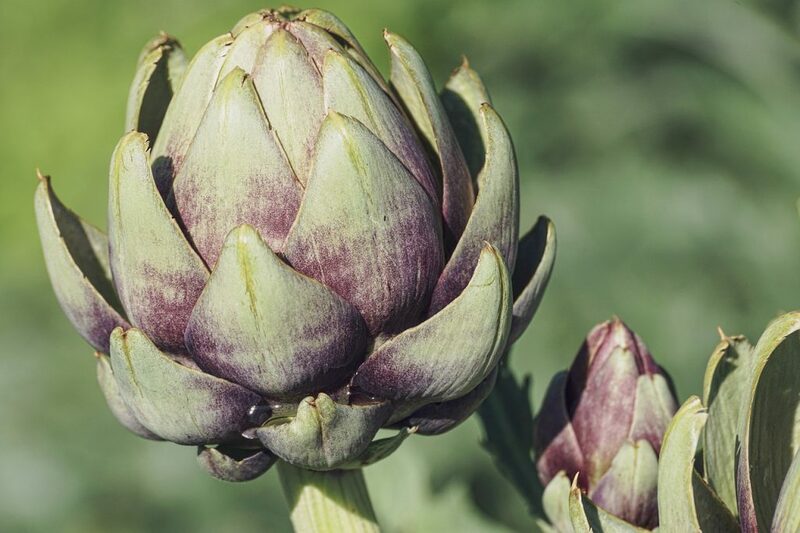 Despite its prickly appearance, artichoke plant is actually edible. It may not always look nice in your garden. However, this vegetable has been famous as an ancient, gourmet foods among the Greeks and the Romans. Also known by the Latin name, Cynara scolimus, artichoke is a member of the thistle family. If you know how to make an artichoke flower look nice, there is always a way. Of course, we need to know how to grow them first. 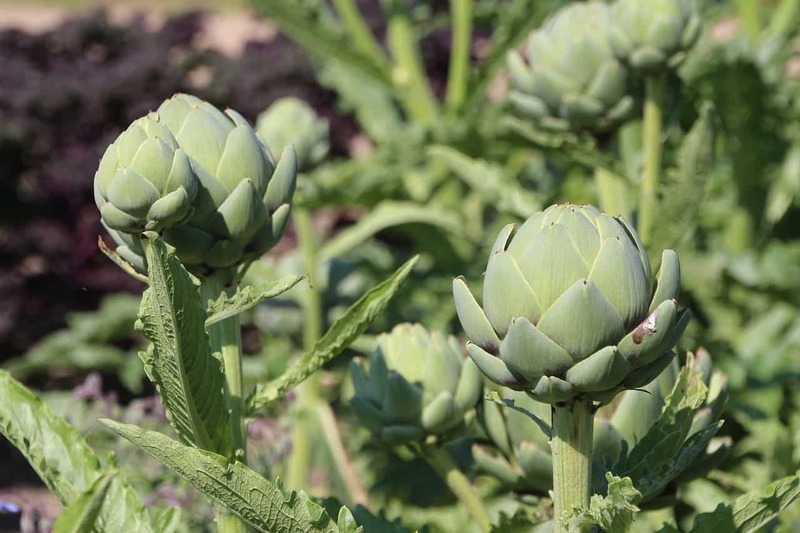 When it comes to growing artichokes, you have to start with this first. Avoid soggy soil, because what they need is actually a great drainage and proper sunlight. If it is too wet, then the moisture will ruin their crowns and root system. Make sure that the other plants that share the beds with them are harmless to artichokes. These plants include: peas, cabbage, taragon, and sunflowers. To increase your artichoke harvest, choose the soil that is deeply worked and rich with nutrients. The more organic matters it has, the better your artichoke plants grow. To test the soil, grab a handful and give it a squeeze. 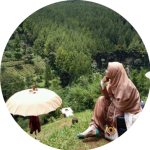 If it stays without being in a clump, then it is healthy enough. Then, start digging eight inches deep for the row and work on the next five for the compost. If you want a large artichoke garden, here is the right mixture: have 100 lb. of manure for every 100 square of space. When it comes to planting your artichoke seeds, sometimes it feels more like rolling the dice. You should wait at least 60 days for them to mature before you do this step. Another option would be to use a root division. Artichoke may take up a lot of space, especially if the plants are three to four feet tall and six feet wide. You may need to give each plant some decent space, since all need a lot of sun. If they grow, they tend to crowd in against one another. The taller plants will overshadow the shorter ones. A six to eight feet gap will do. Just because they seem to bloom easily on the first season does not mean they can survive the winter. However, you can do something if the results are not satisfying. Put the artichoke seeds in a cool-temperature area (under 50 degrees). You can do that in March and April. If the temperature is more than freezing, put them indoors. Wait until the winter is over. The seeds may not need soggy soil in the beginning. However, you still need to water your artichokes on a regular basis. Just do that between once up to three times a week. This also depends on the weather. Summer, especially if it is really hot, can prematurely bloom the artichoke flowers. An overhead irrigation and mulching around each plant can prevent this unwanted possibility from happening. Want more artichoke nutrition? Use the fertilizer on the soil to make a better-established beginning. 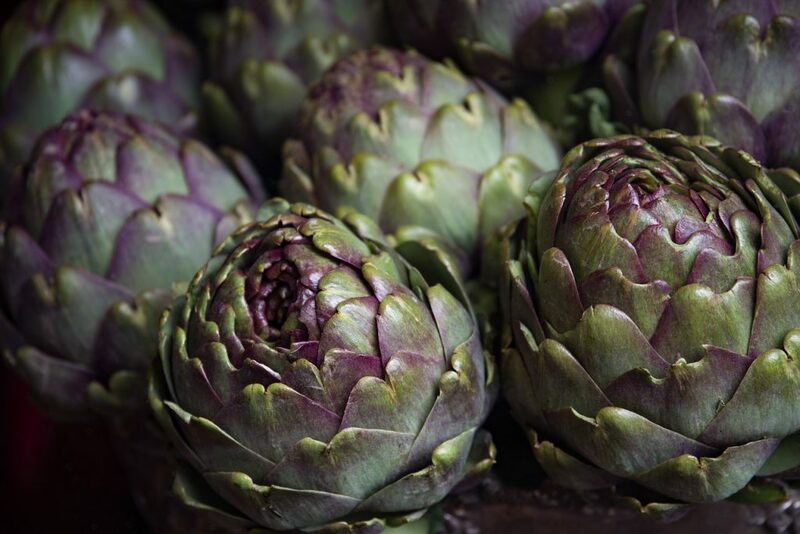 Through the growing artichoke season, give a well-balanced vegetable plant food for every couple of weeks. This is for healthy plants and high yields. Just use an utility knife. Cut the stem about one to three inches from the bud’s base. The bud is useful as a handler while trimming the artichoke. The plant can grow side shoots with up to three inches wide. They are very tender and flavory. When the plants no longer produce in the fall, prune them. Cut the artichoke stem again, just a few inches off the ground. Protect them with enough mulches of straw or leaves. Although some plants may be damaged during winter (especially under 15 degrees), you can still remove the mulches in the spring. Then, you can use that zone for growing some more. Carefully do this every five years. Just separate a rooted shoot with the other. Use a gardening knife while digging a little with a spade. So, when is the best time to harvest and collect artichokes off the plants? The good news is, there is no limit for the availability of artichokes. You can still get them throughout the year. However, the peak artichoke season is from March to May. You can still grow and harvest them in October. Since it is very close to winter, you may only have a very few artichokes with less quality. What can we do with artichokes? They are actually fun and healthy to eat. The artichoke nutrition consists of vitamin C, folate, and potassium. The sodium content is low. It is also fat-free, since it has only 25 calories. You can stir-fry your artichokes. Another option is to put them as part of your pasta dishes. Hmm, feeling hungry already? Although artichokes can be part of your vegetable dishes, they are actually flowers too. In fact, artichoke flowers can come in slightly different shades of colors. For example: from bright blue to darker purple. Some people may only want these artichoke flowers as decorations in their gardens. However, once you know that they are edible, why not use their health benefits too? Just pick the bulbs before they bloom. Then you decide to cook them in any way you like. You can bake, stir-fry, boil, or even steam them. Now you know that artichoke plants have two functions: as beautiful flowers and also source of foods. In some cases, like back in the medieval era, these plants were also used for medicinal purposes. So, are you ready to give an artichoke plant a try?